Brief: find a celebrity spokesperson for a bland, insipid, all-American product aimed at the undiscerning mass market, that leaves the buyer feeling disappointed after just a brief taste. Presumably the people behind Budweiser’s new beer didn’t have to think too hard before stumbling on the perfect product-celeb tie-in: Justin Timberlake. With the acting career underwhelming and his comeback single less than attention-grabbing, becoming a beer salesman might be a timely career opportunity for Timberlake, even if it smacks a little of shameless desperation. Brewing giant Anheuser-Busch were looking around for a suitable candidate to become "creative director" of the Bud Light Platinum brand. 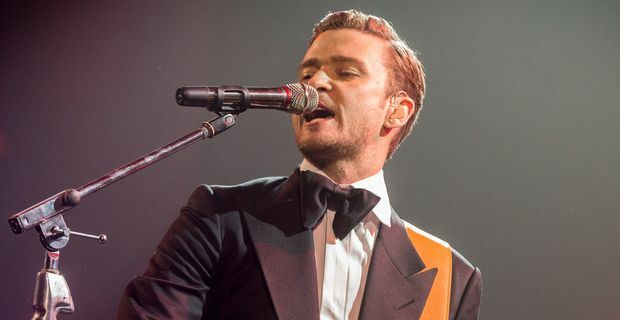 "Bud Light Platinum brings a refined, discerning aesthetic to beer that plays well with what I'm doing," Timberlake read from a statement, while probably making a mental note to start questioning a few of the things his agent pushes his way. Any beer-lover with a familiarity with the products of Anheuser-Busch is unlikely to take Justin’s word for it. They may be more inclined to go with the verdict of drinkers on a US review site whose comments included: "reminiscent of a malt liquor mixed with the dregs of a Bud Light"; "the smell is honestly horrific"; "tastes like stale raisins," and more. Paul Chibe, Anheuser-Busch’s vice-president of US marketing, was ready with a string of nonsensical claims. "Justin Timberlake is one of the greatest creative minds in the entertainment industry." Really, are you sure? "His insights will help us further define Bud Light Platinum's identity in the lifestyle space." Oh, the lifestyle space, of course. "Since launching Bud Light Platinum last year, we’ve worked to align the brand closely with music, including leveraging tracks by Kanye West and Avicii in our first ads." Leveraging? "Partnering with Justin as he makes his return to music brings a new level of relevance and credibility to the brand." It really doesn’t.